By the pricking in my thumbs, something wicked this way comes. I hear Sword of Shadows will be live on Sunday. Yay! This being the case, there is another little snippet of the first chapter. Five hours later, Arthur and the exhausted Submariners finished dragging all the Terran warriors into a vast, air-filled cavern under Dozary Lake. Looking up, he just managed to grab the wrist of a weary man about to remove stasis devices. “Will you leave them here, Arthur?” Huber sank to his knees, trembling with the same fatigue. The raw scent of ketones, the by-product of protein breakdown, wafted through the air around him. When his Submariners crawled to sleeping places in the sand, Arthur used every last ounce of his willpower to stand and walk to his own bedroll. He knew it as a pointless gesture when he added to the scent of ketones on the air. He also guessed at the nature of the reception he could expect from the rulers of Avalon and his mother after an absence of two years. Tomorrow they would board the submersible vessel and return to the place of its theft, under the southern ocean. Sleep came as a soothing blanket of darkness. Transport lights gave the empty ocean a blue hue, for at this depth few life forms could withstand the crushing pressure. Arthur’s thoughts drifted as Kai piloted the craft. Their journey, with Terrans still in stasis, from the cavern to this transport had further drained his Submariners. They lay sleeping at the back of the cabin. Arthur felt his own need, yet resisted. Guilt colored his reasons because he wanted a genuine excuse to escape from his mother’s expected chilling wrath. Over the past two years, many messages from her regarding his abrupt departure reached him through a variety of messengers. However phrased, each one held the same command, ‘Come back immediately.’ He knew Kai shouldered a similar burden of demands from her. Neither of them replied and so risked giving a clue to their location. Now they must face her. A brighter blue glow appeared ahead, signaling their proximity to Avalon. He glanced across at Kai. His brother’s face remained expressionless. Information of their discovery must be shared despite any personal cost. The lethal storm had remained anchored over the earrings while the group made their escape. Without the earrings and their strange emissions, all the Outcasts were helpless to fend off a mind attack from the Nestines. If the earrings no longer worked, then the Outcasts might be used to kill their Submariner allies. “Avalon wants an identification code.” Kai passed the information relayed through his earpiece in an offhand tone as if it didn’t matter. The sound of his voice roused Submariners into reluctant wakefulness. “You all get a respite for a time.” Arthur looked towards Kai, who only shrugged. Respite was their personal code for nothing changed. “The strength of the valorous,” Kai quipped, catching Arthur’s eye. “Sir?” Haystack raised one eyebrow. “The cries of the oppressed demand the wisdom of the wise,” Stalker joined in, coming to stand beside Haystack. “Who dares lock the doors of wisdom?” Merrick, a Submariner, continued this surface-world game of children’s logic, gaining himself a startled glance from the Brethren. “Those who wish to suppress truth,” Kai continued on to the next phase, looking hard at Arthur. “Shall the truth be hidden from those oppressed?” Stalker jumped a level, leading them closer to the final gambit. “The people cry out for justice from those who must judge,” Haystack responded, also looking at Arthur. “The valorous must fight to ensure truth is given to the one who must hold the keys to the kingdom.” Kai smiled the slow smile of Brethren. “Who is the one?” Haystack matched Kai in expressions. “He who would sacrifice his all for the sake of the oppressed.” Merrick finished the game. Arthur looked from one trusting and resolute face to another, aware of the same commitment from all. For the first time, it hit him how much they knew of the burden he bore. Looking into those eyes, he saw acceptance. It made him want to kneel before them and beg their forgiveness. A lump formed in his throat. Kai’s console began blinking with an incoming message that diffused the moment. He reattached his earpiece. “We stay together,” Merrick answered for all of them, and then a slow smile peculiar to Brethren lighted a Submariner face. A slight thud warned them all of docking clamps securing their transport. The faint hiss of airway breathers activating brought a smell of dust and mold to Arthur. His nostrils flared in protest at this contamination of their clean if recycled air, with Avalon’s best offering. It smelled of home to him and his Submariners, but he knew how much the Brethren Outcasts hated this stink of ages as he also did now. He suppressed a yearning for the fresh bite of a keen, crisp wind on his face, bringing with it a rich aroma of growth and life. How many years must he live without experiencing the full array of natural odors this time? Automatic processes thudded, entrapping their craft and preparing to open it like a hapless clamshell. Faint stirrings behind Arthur told him the men formed up into position for disembarkation. Tiny betrayals of sound indicated that they moved into fighting triads. He isolated the creak of Brethren leather clothing from the almost soundless rustle of Submariner water-repellent garments. Not one footfall though, not from these stealth-trained warriors. By the deeps, he must be wound to snapping point to notice these niceties. Kai closed down all engines and came to stand at his side, an unspoken question in those violet eyes that matched his own, down to the color and shape. He guessed Kai sensed his tension since he shared the concerns and consequences. Even as he took that first deep breath to start a calming mantra, Kai’s muscles slid into the fluid stance of battle-ready Brethren. They turned to move as one as if sharing the same soul. Icy chills washed over Arthur as he recalled when this happened in fact. No one had ever survived a gestalt before. The main doors opened onto a deserted docking bay. Metal walkways gleamed in the perpetual day of Avalon. Buildings cast harsh shadows in their thrust upward to the transparent bubble of plas-glass that kept out the crush of water, fathoms deep and fading into blackness. Arthur moved his hand in Brethren sign language to order halt and scan. His flesh crept in the unnatural quiet of the area. No ground runners rumbled by carrying workers. No railpods hissed from overhead tracks. No people walked to their destinations as they should during a day split into multiple shifts. Faint sounds in the distance warned him of an area cleared for combat. “They set an ambush?” Kai hawked and spat. An action calculated to upset the social instincts of any Seer. He grinned at Arthur. “If I find that a primitive example of coarse behavior, the Seers who witnessed will want to roast you over a slow fire.” Arthur matched his smile. “We wait.” Behind him, he heard similar expulsions, normally against his expressed orders. Brethren knew how and when to disgust others to their own advantage. Liquid sounds splashed against a hard surface and the smell of fresh urine made his nostrils flare. With hypersensitive olfactory organs possessed by most of the Seers, the aroma must reach them soon if they hadn’t already connected the sound with the action. No one in Avalon had ever before witnessed Brethren living up to their role of insentient animals ascribed to them by forts. The sound of a similar splashing to the right of the first sound caused him to check a laugh. This aroma held the pheromones of a Submariner. Was it going to take the formation of an outside urinal to make Seers break? Pile all your weapons in a heap and move away from them, a multi-toned voice in Arthur’s head whispered. An octet of Seers and he guessed Elite trooper backups. He eased his hand behind his back to sign for more offensive behavior. Two more of his unit obliged. We can order you shot down where you stand.The tone of the multiple voices held a note of anger. And forgo the benefit of information brought to you at personal risk?Arthur let traces of amused irony infuse his return thoughts. A scream of pain spun him around. Haystack thrashed on the ground, frothing in his agony. Arthur linked with him to feel a white-hot rod of flame piercing into his head for the moment it took to trace the attack back to its perpetrators. Then he counter-struck. Two howls sounded from around the corner of a building. A brief glimpse of a leg in spasm appeared, to be pulled back from view with some speed. Haystack groaned shaking his head and easing up to his former battle stance. Care to try that again? Arthur taunted his unseen enemies. We have a combined psi factor strong enough to destroy you,the multi-toned voice warned. This entry was posted in Uncategorized and tagged C.N.Lesley, dystopia, fantasy, King Arthur, new release, science fantasy, Shadow Over Avalon, Shadow series, Sword of Shadows on October 31, 2014 by cnlesley. Interview with Hunter. S. Jones, author of September Again. Hi Hunter and Welcome. Would you like to begin by telling the readers something about yourself? The art form I create when writing is much more interesting than anything you will ever know or learn about me. However, since you ask, I have lived in Tennessee and Georgia my entire life, except for one “lost summer” spent in Los Angeles. I was always a complex kid. My first published stories were for a local underground rock publication in Nashville. Since then, I have published articles on music, fashion, art, travel and history. The first installment of The Fortune Series, FORTUNE CALLING, released in January 2014, is the story of Dallas Fortune, a musician from Nashville who has been dealt a bad hand by fate, but finds a way. It has been #1 on Amazon in Contemporary Fiction featuring Performing Arts and #1 in Contemporary Short Stories. The concept for the September Stories began last year at a very specific point in my life where I needed a project to get me through a tumultuous season The anonymous English poet that I write with recommended that I write a book. Next thing you know, he’s writing the poetry, I’m writing prose and we are writing a book. It’s the most artistic experience and I highly recommend it. Editing is tedious and absolutely wears on my nerves, but it has to be done, doesn’t it? All that detail can seem a bit overwhelming at times. Did any particular book/author inspire you to become a writer? No,there’s not really one book or author specifically. It’s more like every book I’ve ever seen by all the writers who have written them that have inspired me. I love books and the minds behind the words. I had to turn SEPTEMBER AGAIN in to our editor before telling my collaborator, otherwise we would still be in edits and rewrites. He is a perfectionist. I’m more of a raw emotion person. We balance each other. Jack O. Savage totally rocks. He is a rascal with a heart of gold. He is brave and crazy enough to know that love is the only thing that matters, the only thing that lasts. However, Pete Hendrix would be irresistible to me. I understand why Liz would fall head-over-heels for him. I outline everything, but the Story always has it’s own way, doesn’t it? Finally, where can the book be purchased? This entry was posted in Uncategorized and tagged Hunter. 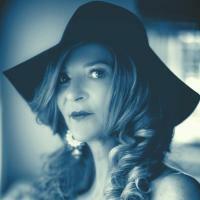 S. Jones, new release, September Again on April 16, 2014 by cnlesley. According to Cherokee beliefs, opportunity will bless you twice.September Again, second in the series, September Stories, is the follow up to the hugely popular indie sensation, September Ends. September Again finds Liz Snow Savage leaving England. She follows her daughter Zelda Savage back to America after Zelda’s betrayal of her. More drama ensues as Liz looks for meaning in life while Zelda finds her direction after the tragedy of losing Jack O. Savage, The Poet. Set mainly in Chattanooga, Tennessee, September Again chronicles the rhythm of life’s cycles. The ebb and flow of love unravel the mystery of Liz’s past. 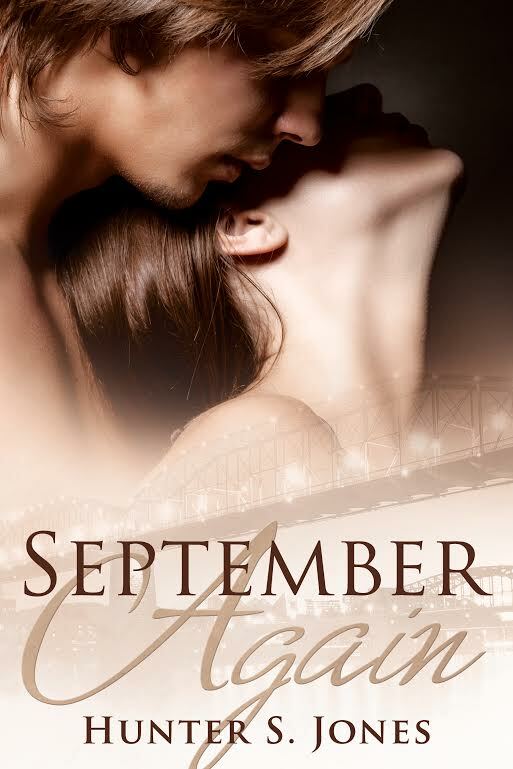 September Again allows a further glimpse into the intricate web of passion and desire which have entangled Liz Snow, Pete Hendrix and Jack O. Savage for years. Will a chance encounter finally reveal the truth? What act will change the destiny of Liz and Zelda forever? The story of sin, salvation and redemption continues in Book 2 of the September Stories, told through a mosaic of prose with a smattering poetry. This entry was posted in Uncategorized and tagged coming of age, Hunter. S. Jones, new release, September Again Stories. on April 16, 2014 by cnlesley. I fully admit I get my best book ideas from dreams, but not this latest one. This was a no no from the get go. Imagine a very nasty resort in a very swampy region with very unclean water. Now add nasty ‘things’ just below the surface with bodies like giant slugs that are dangerous and will eat people. Add to that filthy, dirty cabins and no fun things to do for tiny kiddies. This would be us and our daughters and they would be five to months old at the time. For some strange reason, only logical in dreams, we had taken the baby’s wooden cot with us. Now add a black, mist like presence to haunt the cabin and us trying to get the aforesaid cot out of the cabin so we could pack the car to leave early from this nightmare vacation. Nope, not one I will be using. It fails, not from the yuk factor, but because it has no ongoing plot or structure, aside from the factoid that I never write about real people. On the flip side, as there always is one, my next dream, after I woke from the nightmare and drifted off again, gave me the plot for the fourth book in my Shadow series. I have the main character and all the whys and wherefors. I have these written down now. Nope, I will not be working on this any time soon. I have the finishing touches to put to the third Shadow book and also I have Serpent of the Shangrove to finish as a sequel to Darkspire Reaches. Added to that, I am working on a very dark science fiction stand alone book I would like to finish before I start on any new projects. Shadow three, probably entitled ‘Chalice of the Shadows’, although that does depend on what my publisher thinks as to the title, and Serpent of the Shangrove, ditto, are high priority. I am working on the three at the same time as I can get more wordage out. The good news is I am told Sword of Shadows is set for release in September of this year. Yay!!!!! This entry was posted in Uncategorized and tagged C.N.Lesley, dark romantic fantasy, Darkspire Reaches, Felinity Antology., Grimbold books, Kristell Ink, new release, science fantasy, science fiction, Serpent of the Shangrove, Shadow Over Avalon, Sword of Shadows on February 28, 2014 by cnlesley. Shadow Over Avalon now available from Kobo. At last, my book is finally available in Kobo. Many thanks to my publishers for making this happen. 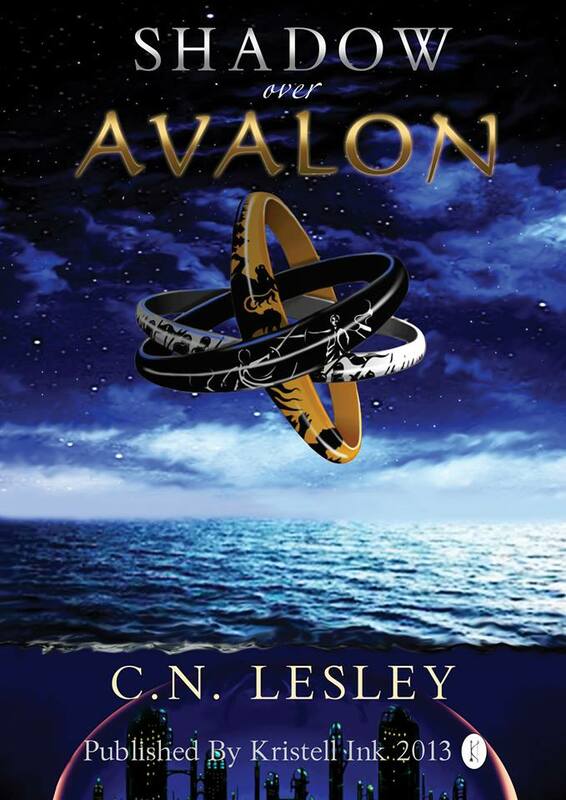 This entry was posted in Uncategorized and tagged C.N.Lesley, dystopia, fantasy, King Arthur, Kobo, legends, myths, new release, science fiction, Shadow Over Avalon on December 14, 2013 by cnlesley. A man, once a legend who bound his soul to his sword as he lay dying, is now all but a boy nearing the end of his acolyte training. Stifled by life in the undersea city of Avalon, Arthur wants to fight side by side with the air-breathing Terrans, not spend his life as servant to the incorporeal sentient known as the Archive. He is determined to help the surface-dwellers defeat the predators who are determined to ensure their own survival, no matter the cost. Ashira, War Maid princess of the surface-world, is ready to sacrifice her life to defend her kin, but when she is betrayed and cast out of the life chosen for her, she must choose whether to die with honor or become one of the creatures her kinsmen fear and loathe. Following two threads of time, CN Lesley’s new incarnation of the Arthurian tales of old delivers the perfect blend of science fiction and fantasy. This entry was posted in Uncategorized and tagged avalon, Darkspire Reaches, Excaliber, fantasy, free book, King Arthur, new release, science fantasy, science fiction, Shadow Over Avalon on October 30, 2013 by cnlesley.